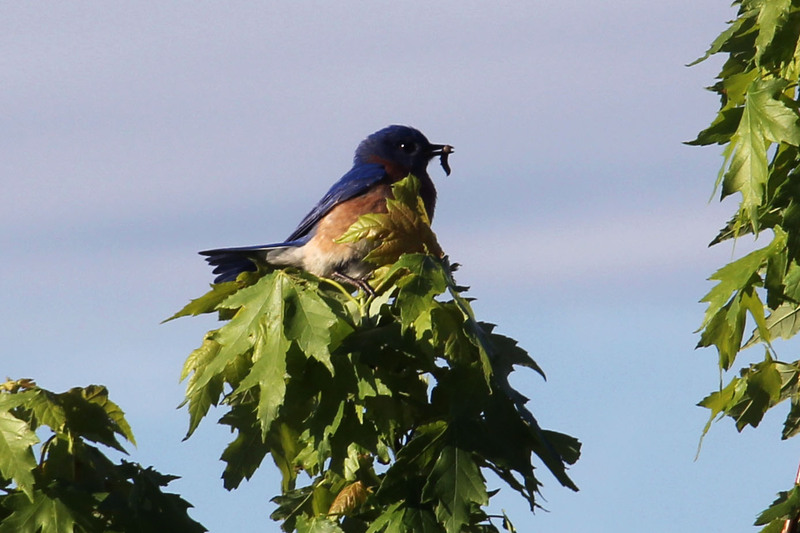 I was sayin, you just can't beat the Eastern Bluebird as a personable species. Having them in the yard while they raise young is a special treat. Both parents catch worms and insects while raising their clutch--in this case three. Typically they will have 5 mouths to feed. Ours will soon be fledging and will then hang with their parents for a period of time and expect further handouts. Bluebirds--fun to watch, pleasant to hear, rewarding to raise.